If you tuned into the Olympic swimming last summer, you might have noticed dark red circles on a few prominent athletes, namely Michael Phelps. With almost half of the world watching, cupping therapy was having its moment in the spotlight. 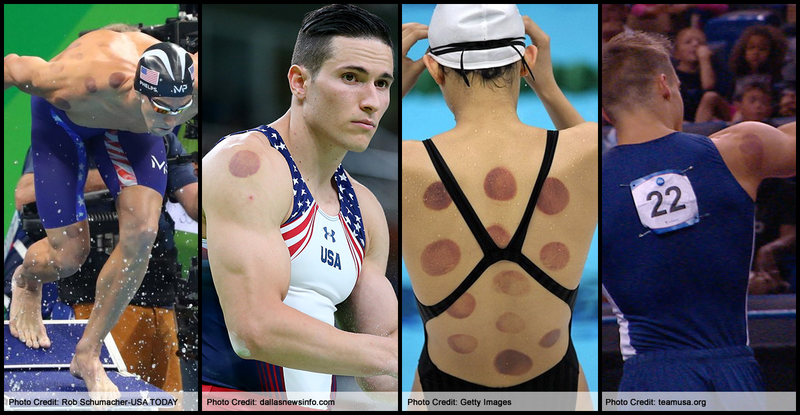 The coverage (and curiosity) spawned hundreds - if not thousands - of features about the background, benefits and potential concerns related to cupping. I've been working as a therapist on the PGA TOUR for over a decade. In my career, I've worked over 250 events, helping 40+ pro golfers, including four 2016 Ryder Cup members: Jimmy Walker, Brooks Koepka, JB Holmes and Brandt Snedeker. I had the opportunity to present about cupping therapy at the 2016 World Golf Fitness Summit and it generated sincere interest from the TPI community. Since I use cupping methods with a few of my players and thought it would be interesting to share some of the insights I've gathered. 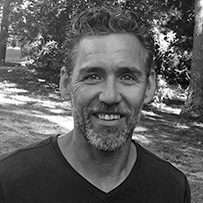 The topic of cupping can be controversial in the therapy community. I think a lot of it has to do with a lack of exposure and experience. While honoring Traditional Chinese Medicine and all the practitioners who have nurtured cupping, acupuncture, and their traditions through the millennia, I am calling out to those very practitioners and also chiropractors, physiotherapists, golf professionals, physical trainers and the individual public to support one another in open group dialogue and further investigation of this powerful modality for specific and niche performance applications. Cupping the body arbitrarily without a system may or may not be effective depending on the objective, and we certainly have a responsibility to deliver safe treatments and heed contraindications, however I believe that it is far more efficient and effective to use the FMS/TPI/SFMA system to identify and demonstrate tissue extensibility dysfunctions (TEDs) and then to specifically tailor the cupping treatment to eradicate those restrictions. Simply eradicating any and all restrictions found in the tissues, even when some are not of functional detriment could actually hurt the client’s performance under certain circumstances. The practitioner must ask “why” and what effect the treatment could have on the particular client at that particular time. All “cupping” is not the same, even though it seems anything involving vacuum therapy falls under this label. So many variables can come into play that any combination of dry vs. wet, active vs. passive, dynamic vs. static, degree of intensity, compression by the cup’s edges, as well as the size of the cup, time of dose, health of client, the permutations and therefore outcomes are virtually infinite. It’s impossible to have a conversation about “cupping” without specifying how we are using this tool. Although I am not performing this technique in the same way or for the same purposes as done in Traditional Chinese medicine, I will use the term “cupping” here for the sake of clarity. Following are some of the topics, guidelines, and considerations that we discussed over the three sessions at the WGFS. *Please keep in mind I am referencing my own personal experience using this tool. 1) Don’t use on small muscle groups before competition unless the athlete cannot play without intervention. When we consider what is happening at the cellular level and to the integumentary system during the decompression of the tissue during cupping, we are changing the relationships of the organelles that control proprioception, static position sense, and kinesthesia - which tell us how we are moving in and through space. In sports or movements requiring precision, fine motor control, or manipulation of an instrument, (golf, archery, tennis, or baseball) these kinesthetic changes that we can affect with cupping during or directly prior to performance are a major consideration. In other sports requiring more gross movement (football, soccer, swimming, etc) where fine motor control is less critical, this may not be as much a consideration. If we affect kinesthesia at the level of scapular stabilizers by just one millimeter, how will that uncertainty amplify through the entire kinetic chain, not only down the arm to the fingertips, but then down the 45-inch club and with the momentum transferred to the club face and then the ball’s trajectory? These are questions we do not have answers to, only ideas and instinctual hunches. Consider the example of a sobriety test where the subject is asked to touch their nose with their fingertip with eyes closed. If they miss their nose with their fingertip, it would indicate the position sense (kinesthesia) malfunctioning due to alcohol. While this is not the exact same system, there are some parallels to the type of confused kinesthetic experience in the integumentary system after cupping small motor musculature. Now consider the same test done with 45-inch club, your arm and hand. Can you imagine trying to touch the ball on a tee and at 100 mph? Experience has shown me that it is very difficult for a player to maintain accuracy after receiving cupping (fascial decompression) to scapular stabilization muscles. Conversely, challenging a player’s kinesthetic awareness during a practice session when they realize that their target movements can be uncharacteristically inaccurate can improve the level of concentration and mental acuity over time, by training in this way. 2) What are the kinematic implications of using cupping on the decelerators of movement before competition? Next we will consider what ultimately transfers speed from one segment of the body to the next - deceleration. Muscular and fascial restrictions are part of the decelerating process, as speed is transferred from one segment to the next. Lets look at the lead hip on a golfer. If we decrease the fascial and muscular restrictions significantly through cupping, then I believe speed will not be transferred nearly as efficiently from the hips to the torso and up the kinematic chain. However, the implications for training and coaching (outside of competition/performance times) indicate an incredible opportunity to challenge the body to work on contractile muscular deceleration during the period that the fascial and non-contractile muscular restrictions are removed or decreased. 3) When, where, and to what degree to cup? We always need to be intentional. “The Pull-up vs Shoulder Press scenario” - Let’s get away from golf for a minute. We will compare the same treatment’s effect on a shoulder press vs a pull up. A person is going to do a shoulder press in competition, let’s say they can do 50 lbs on one arm before cupping. The first thing they must do before they press the 50 lbs up is to overcome any muscular or fascial restrictions to simply lift the arm itself. If the arm weights 5 lbs and they have 15 lbs of “fascial” restrictions in their muscle, fascia, and skin, then before they lift the 50 lb weight, they have to “lift” 20 lbs of restriction (the arm’s 5 lbs plus the 15 lbs of restrictions). If, when we cup, we can relieve 10 lbs of this fascial restriction, then during the competition the person would then be able to lift 60 lbs rather than 50 lbs. Cupping in this case would help them exceed their personal best in competition and training. Now imagine another situation - a pull-up competition. The personal best is 15 pull-ups. This person lowers themself into a pull-up hang, although the fascial and muscular restrictions act as an assist for the pull-up. These restrictions store energy as the person lowers down eccentrically and actually assists them as they “spring” back to the apex. This athlete is actually relying on their restrictions to meet their personal best in this case. If we cupped and released fascial friction and tension in the same areas on this person as in the shoulder press example, they would not have that stored energy they relied on, and will go deeper into the full hang position but will lack the strength within that new range to return to the original chin up position. Their ability to get them back up relied in part on a tissue restriction, not contractile in nature, and now they are at a weak new end range they have yet to experience or train in. While the incredible opportunity to train in a new range is the holy grail of training and coaching, it would be a disaster during competition. Hence, the need to know WHEN, WHY and WHAT we are cupping. I believe this goes for all manual therapies - cupping, needling, soft tissue work, pin and hold, etc. This is similar to the philosophy behind altitude training. Train and tax the cardiopulmonary muscular systems at the high-altitude, which demands adaptation to that environment, find the new edge, then compete with the new greater capacity. 4) Don't expect motion and strength gains to remain without follow up and training. While ROM and strength gains can be astounding and dramatic initially, we can expect them to return to baseline if not nurtured in the first 24 to 48 hours. There is more going on than the obvious stretching and strength gaining and when we look at the central mediated systems of dry needling as described by Dr. Ma in his first of three books, “Biomedical Acupuncture for Pain Management”, the body is being called to initiate metabolic action in these newly inoculated areas of concern. These previously stagnant, “forgotten”, low metabolic priority areas now become the primary area of concern for the body and we must keep them at the top of the list, if we want to maintain those gains. If we don’t continue to require and ask for more motion, more strength, and more neurological control, they will return to status quo and possibly worsen. Cupping serves by providing us with a large window of opportunity. In the literature, cupping is often referred to as an ancient tool of an art that has been around for 3-5 thousand years - and yet reductionists still seek definitive answers while this tool is being reinvented and used intuitively by many. TCM has provided a system to incorporate cupping into a traditional setting and it has endured through time. The problem is our setting in sport and medical venues are non-traditional, and dogmatically following prescribed methods without the space to think creatively hampers the potential for spontaneous epiphanies and inspiration by both professionals and nonprofessionals. The ability to have relationships within your community and where you can have open positive discourse is critical to develop and legitimize the many forms and uses for cupping…Let us all remember that in reality people have been doing cupping for thousands of years. And while I know my own niche - professional tournament golf - and my beliefs about the affects on the players, I also have ideas about the implications for tennis, volleyball, football, sprinting, and soccer - but I don’t have access to experiment with and treat athletes in those sports and with the vast number of clinical possibilities. For example, what would happen if we cupped the bow arm of a cellist or violinist? How would they play? How could it affect the fine motor control in their hands? There is just so much more to investigate and so many different patient and client populations. It’s truly up to us to do our own research, but before reductionist evidence-based studies can exist, we must be allowed to imagine, create and play with techniques whenever possible without the concern of ridicule from our discipline’s peers. There is no system for the new paradigm; we are developing it as we trial. If this is possible we must put down our competitive swords. This is intuitive. As much as we like to classify ourselves as scientists, research comes from proving/disprove our hypotheses - hunches, but where do the hunches come from? Inspiration, intuition, and wonder can flourish and bloom in the safety of one’s environment to fail and to be vulnerable. *Use TPI screens, FMS, SFMA, Y-balance tests, and whatever your functional tests may be to tease out tissue extensibility dysfunctions (TEDs). You can use cupping to alleviate those restrictions. The straightest line to a successful cupping treatment is to work on tissue extensibility dysfunctions. My opinion is that these screens are the most efficient way to get to that end. *Use cupping on small muscles and large side-on sport decelerators before training and before practice. Expect your performance to decrease as your nervous system adjusts to the new ranges and inputs in those ranges. *Use cupping in conjunction with dry needling, instrument assisted soft tissue mobilization (IASTM), and all your manual techniques. *Take before and after pictures (data, video) to see the dramatic changes that will occur when using cupping. *Use your expertise and intuition to push this modality into popular acceptance with basis in legitimized screening. Thank you Andrew, really appreciate the positive input. Vast majority of comments regarding the article have been positive ...a few negative however it was evident they didn't read the article only the headlines thanks for participating. Marc. A well considered article that raises some interesting points with regards to treating athletes. I think the points raised can be translated across all modalities / treatment protocols, not just cupping.